Computer software that uses images, text, sound, and video to teach words and grammar by spaced repetition, without translation. Everything is in the target language. Rosetta Stone is by far the most well-known language learning tool throughout the world, and is the industry leader with $273.24M in sales in 2012. The company markets its more than 30 language learning products in more than 150 countries. The millions of customers include the U.S. Army, U.S. State Department, Reuters, and Marriott Hotels. 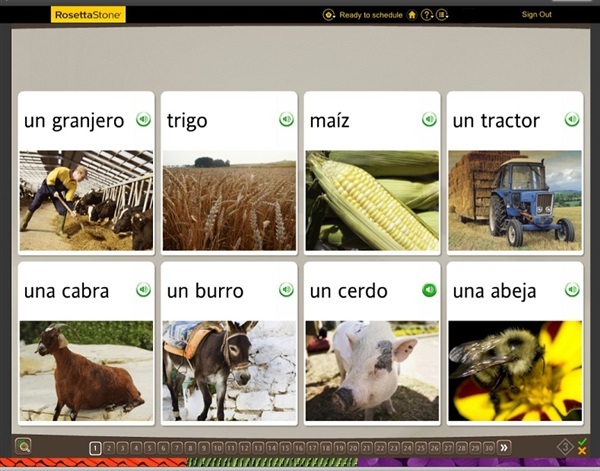 Rosetta Stone is a so-called computer-assisted language learning (CALL) software and it uses images, text, sound, and video to teach words and grammar by spaced repetition, without translation. Rosetta Stone calls their approach Dynamic Immersion; you basically learn the language by being immersed in it, without the help of your native tongue. There are four units per language level. Each unit has four core lessons that are about 30 minutes long. The student then moves on to one of the following lesson modes: Pronunciation, Writing, Vocabulary, Grammar, Listening, Reading, Speaking, or Milestone. 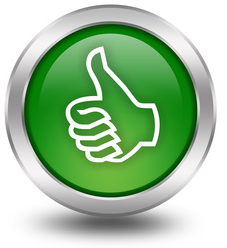 The Milestone is an exercise in which the student applies what they learned in the unit. 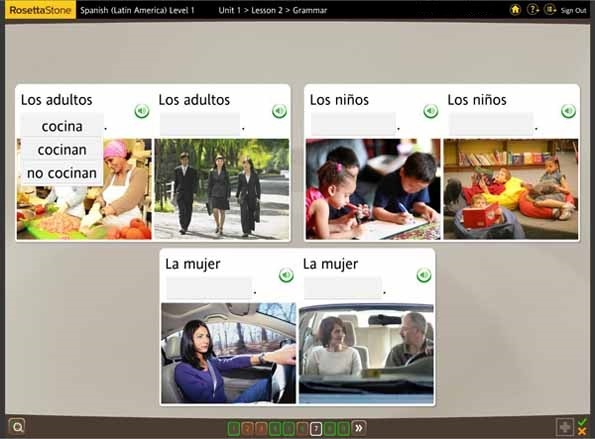 To use Rosetta Stone, a student needs the Rosetta Stone application software and at least one level of a language course. The latest major version of Rosetta Stone is Version 4 TOTALe. Rosetta Stone is a computer program, so to use it you need a computer, but also a microphone. The reason for the microphone is that you get to repeat after a native speaker during pronunciation exercises, and the Rosetta Stone software attempts to evaluate word pronunciation and it gives you feedback (if you fail to pronounce the word correctly, you have to repeat until you get it right). When purchasing Rosetta Stone, a headset microphone automatically comes with the package, although the quality of the headset is not that good. 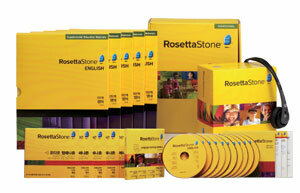 In a nutshell, then, Rosetta Stone is a program that immerses you in the target language; no translations are used. Only pictures, text, recordings, and videos. The program does not teach languages the “traditional” way using verb tables, grammar drills, and complicated terms such as “the predicative” and “the ablative.” If only the thought of hearing these words scares you, you’ll certainly feel comfortable with Rosetta Stone since none are to be found. In a vocabulary building exercise, the student pairs sound or text to one of several images. The number of images per screen varies. In writing exercises, the software provides an on-screen keyboard to make it easier to type characters that are not in the Latin alphabet. So don’t worry if you don’t have, for example, the Spanish accents installed on your computer; you’ll be able to type them through Rosetta Stone’s software. Lastly, each lesson concludes with a review of the content in that lesson, and each unit concludes with a milestone, which is a simulated conversation that includes the content of the unit. Rosetta Stone is, on the whole, a very good program for an inexperienced language learner. The interface is visually pleasing and by going through the software you really feel like you are making progress quickly. 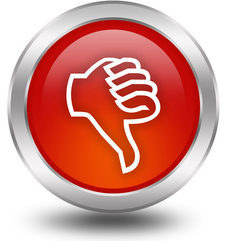 Many aspiring language learners are also often put off by boring looking textbooks and long and complicated grammatical explanations. Since Rosetta Stone contains none of that, it’s a program easy of approach that can help you gain confidence in your foreign language learning abilities. With loads of pictures, text, sound, and video to teach words and grammar, Rosetta Stone is definitely fun to go through and can almost be seen like a game. While most language textbooks contain at most a few black and white drawings, Rosetta Stone is much more visual. This makes it especially suitable for children, and it’s easier to keep you focused for longer periods of time. Vocabulary acquisition is also made easier because of that, and you do not need to make any conscious effort to remember things. With the program’s emphasis on innate immersive language learning, you really get “immersed” in the target language; no English translations are used to teach you new vocabulary. The good thing about this is that it forces you, right from the start, to think directly in the target language and to associate new words with images (rather than with translations). This can especially be a good thing for those who tend to overthink in their native. The largest drawback to Rosetta Stone is its price tag. For the complete package going for about $349, it is obviously not the cheapest alternative on the market. The good thing, though, is that Rosetta Stone does come with a “Money Back Guarantee,” meaning you can try the program out and see if you like it and if it works for you. If it doesn’t, simply return it and you’ll be fully reimbursed. Rosetta Stone is program that comes on discs, and you can only install it on one computer. So you can’t study on your smartphone, you can’t listen to the audio in your car, etc. However, you can uninstall the program and re-install it on a different computer, but this takes some time and effort to do, and cannot be repeated indefinitely. The program has been criticized for having a lack of sensitivity to the differences between the various languages it comes in and their respective cultures. Because the company uses more or less the same stock photographs for all its language courses, they depict people, activities, and manufactured goods that are conspicuously American. In a similar vein, the program teaches all languages very similarly, even though languages vary widely in complexity, grammatical structures, scripts, dialects, etc.